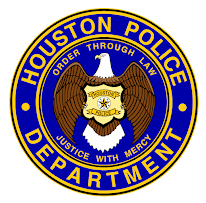 Houston Police Department: Do the "Macarena"! Almost there! Academy Class 212 graduates on June 14, 2012. Over six months of intensive training is soon coming to an end. Hang in there 2-1-2, another challenge is around the corner once you hit the streets. I know you were not actually dancing, but as I looked through some recent photos from Police Week, it made me laugh. Not sure what you were doing... Good luck on the skills during the next few weeks. Especially Red-Man! awesome! Too funny. Love the blog. 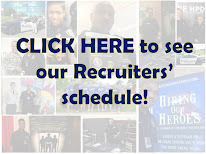 can't wait to become HPD cadet! Congrats 212! see you on the road! This looks like the standard "Oh no... I have a mark on my shirt!"